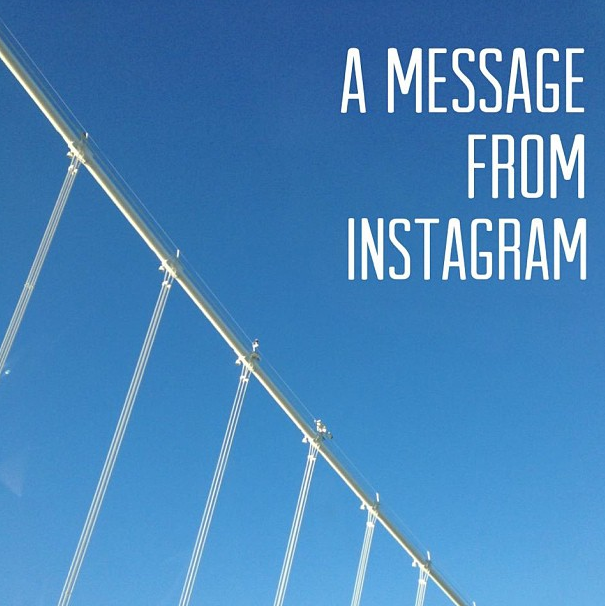 Instagram recently announced they are taking major steps to enable brands by providing greater insight into the performance of both organic and paid content. These tools are a welcome addition to the highly visual platform and will create tighter alignment with business goals as it pertains to tracking impressions, reach and engagement. The tools are built around three primary areas of account insights, ad insights and ad staging. Account Insights – Account insights is the primary dashboard for mapping performance and engagement of organic content. This includes insights around the weekly performance of content, aggregate impressions over time as well as additional insight into the brands audience. 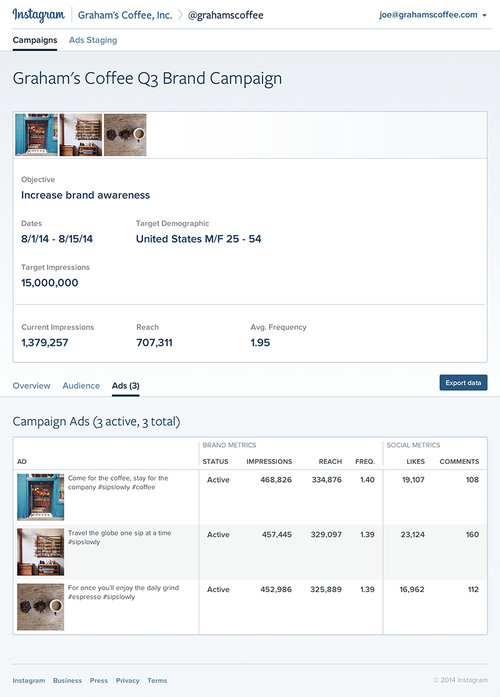 Ad Insights – Ad Insights is the campaign performance hub for Instagram paid media that houses brand analytics (impressions, reach and frequency). Instagram, similar to parent company Facebook, are heavily focused on reach and frequency vs. engagement as a primary value proposition for brands. The Ad Insights dashboard is a quick and easy reference against the current campaign goals and all of the data can easily be exported for additional client reporting. Ad Staging – One of the more exciting tools, especially for Social Agencies that partner with Media agencies on behalf of their brands, is the Ad Staging option. This tool will allow cross functional teams to collaborate together to preview, save, and collaborate on ad creative. 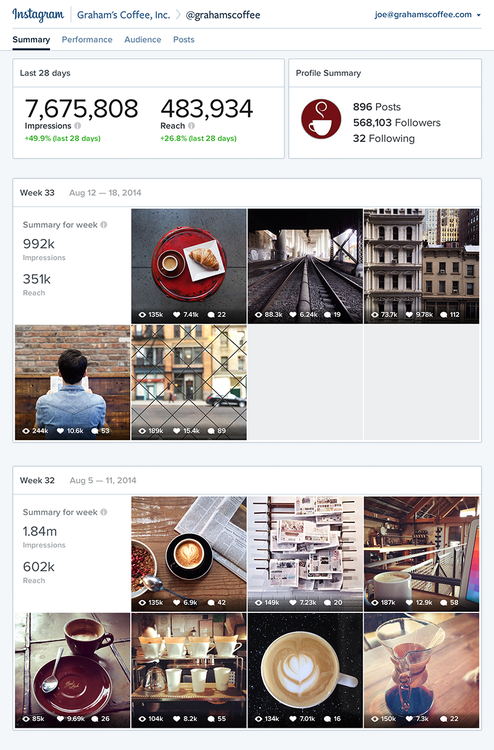 These tools will be made available to all Instagram advertisers and will enable tighter campaign integration as well as invaluable data around how the brands target is engaging and interacting with both organic and paid content. Building recommendations on a strong data foundation is a key to maximizing the impact of a visual content strategy.